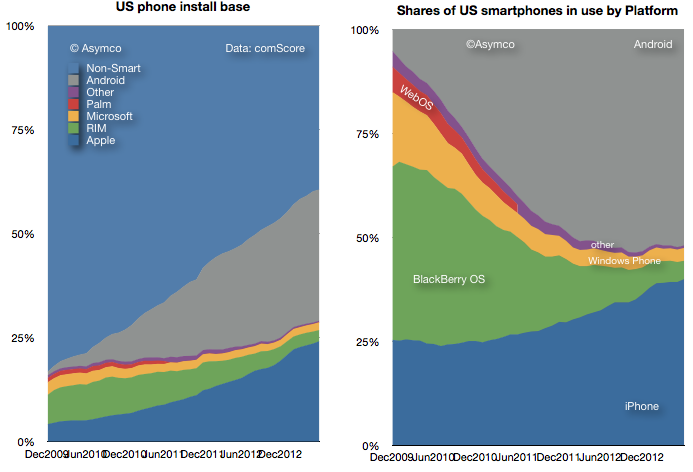 ComScore’s latest survey for US smartphone users showed that Android had 52% share of about 142 million users. That amounts to 73.84 million Android devices in use. 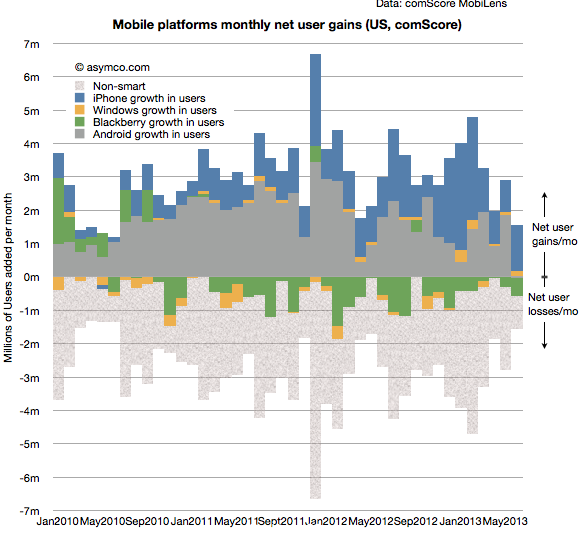 ComScore’s previous such survey showed that Android had 52.4% of about 141 million users. This amounts to 73.88 million Android devices in use. 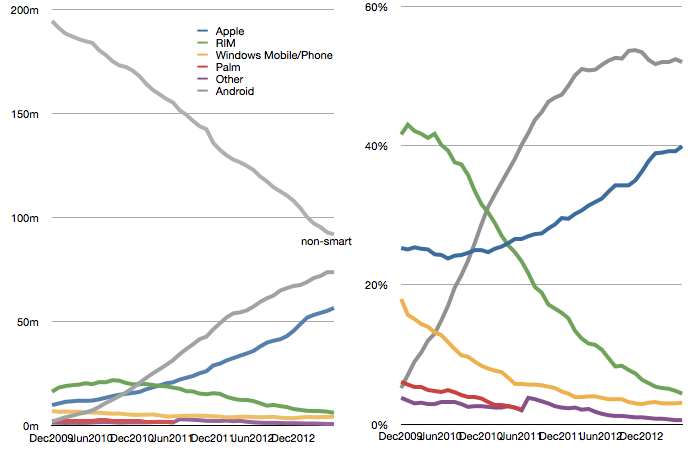 It also means that Android usage in the US went down for the first time. The difference is surely within a margin of error so it’s not something to declare definitively, but the pattern of Android “peaking” has been evident for some time. Even though share stopped growing about a year ago, Android continued to gain users as overall smartphone consumption increased. The last few months however have shown a slowing of new smartphone users and therefore we have this first instance of Android appearing to lose usage. Note that this has not been the case for iPhone as usage over the last six months is up by 11 million users vs. 6.6 million for Android. 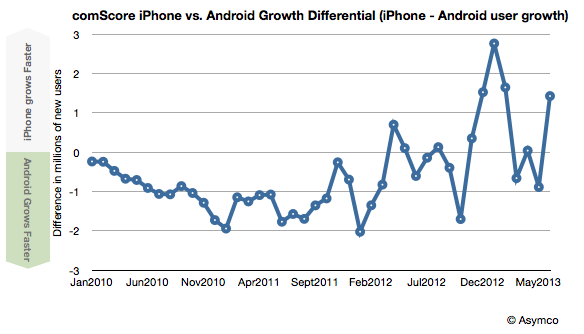 Indeed, iPhone gained more users than Android for the last 6 out of 8 months.